Celebrating our independence day | First Option Software Ltd.
September 2007 was an important date for First Option, one which shaped how we are today. On 3rd September 2007, two companies; First Option Software and First Option Technical Support were born. A company reorganisation saw First Option’s software development and technical support teams take control of their own destiny by forming two new companies. Matt, Richard and Mike made the leap from employees to shareholders, embarking on the exciting journey as an independent company that brings us to today. A lot has changed in 10 years, our team has grown, our hair has not (apart from Mike’s!) and we’ve made some achievements that we’re incredibly proud of. Likewise technology has changed from the rule of the basic buttoned Nokia phone to the revolution that was created by the iPhone and the mobile appstores. We’ve worked for the Queen and gained a Royal Warrant, survived a recession, launched two of our own products, and maintained customer relationships from the day we formed. We’ve written thousands of lines of code, delivered hundreds of projects, learnt lots of new technologies and we’re still enjoying what we do today. The nature of our industry means that technology keeps moving at such a pace that means we’re our projects just keep on inspiring us and craving for more. 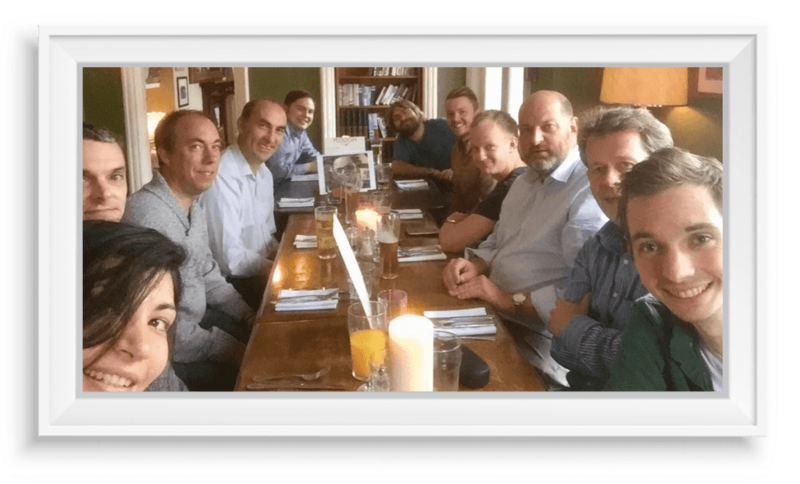 To celebrate, we took the team out for a meal and looked forward to another exciting decade for First Option Software!